A New York City fire fighter looks up at what remains of the World Trade Center after its collapse during the Sept. 11 terrorist attack. Photo: Jim Watson, U.S. Navy. 2016 has been a tumultuous year, marked by truly horrific acts of violence. As we’ve learned from recent history, even when crisis happens far from campus, we, and our students, can be profoundly impacted. In this week’s episode of Let’s Talk Teaching, we ask some hard questions: When a crisis occurs, are we really prepared to address it with our students? How can we balance the need to cope with traumatic events against the need to keep learning on track? There are no easy answers. As we mark the 15th anniversary of the 9/11 attacks, we look at research resulting from that historic event, explore options, and offer a few practical tips for teaching in times of crisis. 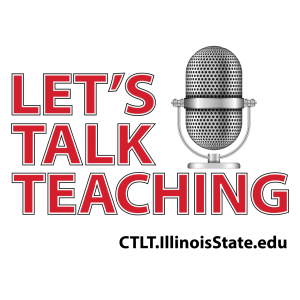 Let’s Talk Teaching is a podcast for instructors at the Illinois State University, produced by the Center for Teaching, Learning, and Technology. You can listen to this and past episodes, read the show notes, and subscribe using your favorite podcast app or through iTunes by going to CTLT.IllinoisState.edu/Podcast. Is there a topic you’d like to hear explored on Let’s Talk Teaching? Email us at CTLT@IllinoisState.edu!